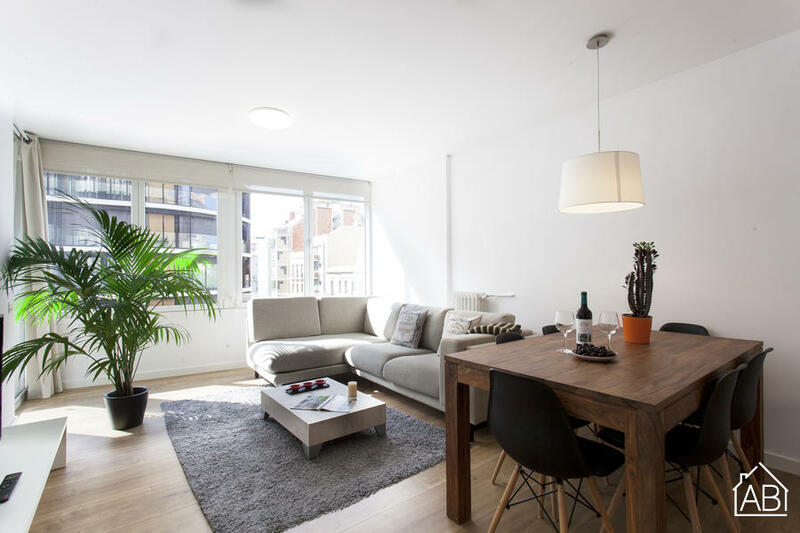 Situated in the sophisticated Sarrià-Sant Gervasi area, just a stone’s throw from the trendy neighbouring district of Gràcia, this refurbished modern apartment has a huge amount to offer, both in itself and in its location. With plenty of bars, cafés and restaurants in the vicinity, as well as the impressive Tibidabo mountain (a popular attraction for both locals and tourists alike), you’ll find lots to do during your stay here. The apartment is spacious and benefits from plenty of natural light. It sleeps up to 4 people across a double bed and two single beds. The master bedroom boasts lots of fitted storage space, and offers a separate study area, perfect for working or relaxing with a book. The bathroom is large and has been refurbished to an extremely high standard, featuring a large walk-in shower. A second WC is ideal for guests. In the kitchen you can find all the necessary equipment needed for a comfortable stay, including a dishwasher, toaster, microwave and even a coffee machine. Enjoy a home-cooked meal at the dining table and relax watching the TV or browsing the internet in the living area. An elevator provides easy access and air conditioning, as well as central heating, make it a great choice for accommodation in Barcelona any time of year.